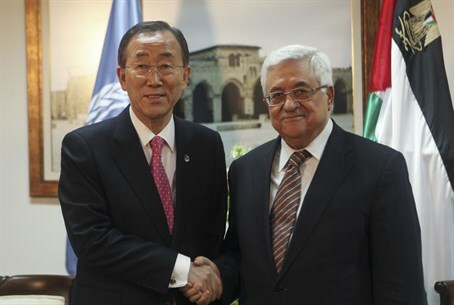 UN and PA call for funds without specifying supervision of usage; admit countries hesitating to donate to Hamas terror govt. The United Nations (UN) and Palestinian Authority (PA) on Tuesday called for international donors to supply $550 million to the Hamas terror enclave of Gaza, despite the fact that Hamas has already restarted construction on its terror tunnels to attack Israel. The appeal seeks to repair damage caused in the 50-day Operation Protective Edge, which started in July after Hamas launched a rocket war on the Jewish state. "The scope of damage and devastation is unprecedented in the Gaza Strip," said UN Humanitarian Coordinator James Rawley in a statement, reports AFP. "The crisis is far from over." Rawley and PA Deputy Prime Minister Mohammed Mustafa said $551 million was needed for food, clean water, healthcare and education. They did not outline what type of supervision - if any - would prevent the Hamas terror government from using the funds for more nefarious causes. However, Mustafa revealed that not all world countries are blithely ready to sink massive funds into the Hamas terrorist government. "Some of the donating countries are worried about the condition on the ground; the reconstruction won't occur as long as the Palestinian Authority doesn't receive control over all aspects of life in the Gaza Strip," Mustafa said, according to AP. Over 30 terror tunnels were destroyed by the IDF in the course of the operation, each costing millions of dollars and built with construction materials sent to Gaza for supposedly civilian projects. It was revealed this Sunday by senior Israeli sources that Hamas has already restarted construction on the lethal terror tunnels and rockets, with leaders and residents of the Gaza Belt area saying the revelation required Israel to take military action, noting the threat to local security. Nevertheless, Mustafa said he and Rawley "challenge the world to be ambitious and daring in helping us realize recovery, reconstruction and a better future for Gaza. An immediate measure is to end the blockade on Gaza and ensure our people never again experience the horrors of this summer." Rawley likewise called for a "full lifting of the blockade." Renewed truce talks between Israel and Hamas have not yet began, with Arab sources hinting at a September 20-21 start time. The influx of construction materials and the security threat it poses to Israel has been a key factor in keeping the blockade on the terror enclave in force, and is to be discussed in the negotiations. The danger of the terror tunnels was illustrated in the operation, with soldiers being ambushed and killed on several occasions. It was revealed that Hamas planned to use them to launch a massive massacre on Gaza Belt communities on Rosh Hashana, the Jewish New Year. It is worth noting that UN facilities in Gaza were widely used by Hamas in the operation as well, with rockets found in at least three UN schools and returned to the terror group, and three soldiers killed and seven others wounded in a booby-trapped UN clinic that was situated on top of terror tunnel entrances.